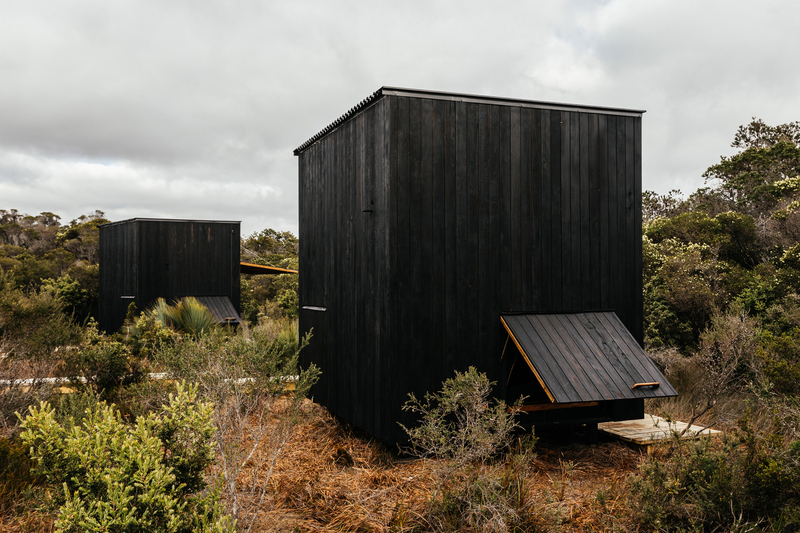 Krakani Lumi, or ‘Place of Rest’, located in Mt William National Park, Tasmania, serves as a refuge and accomodation for guided walks through the wilderness. 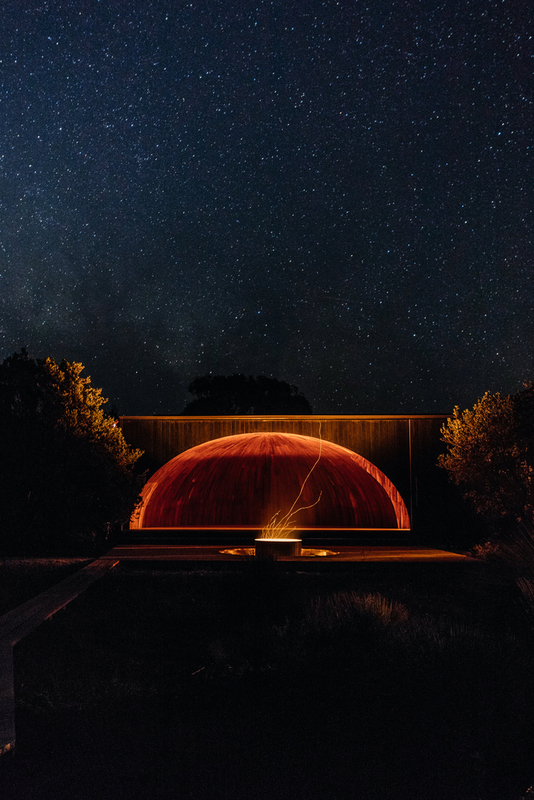 The Krakani Lumi project responds to the sensitive landscape through siting and form, whilst referencing traditional indigenous shelters built by Tasmania’s first peoples. 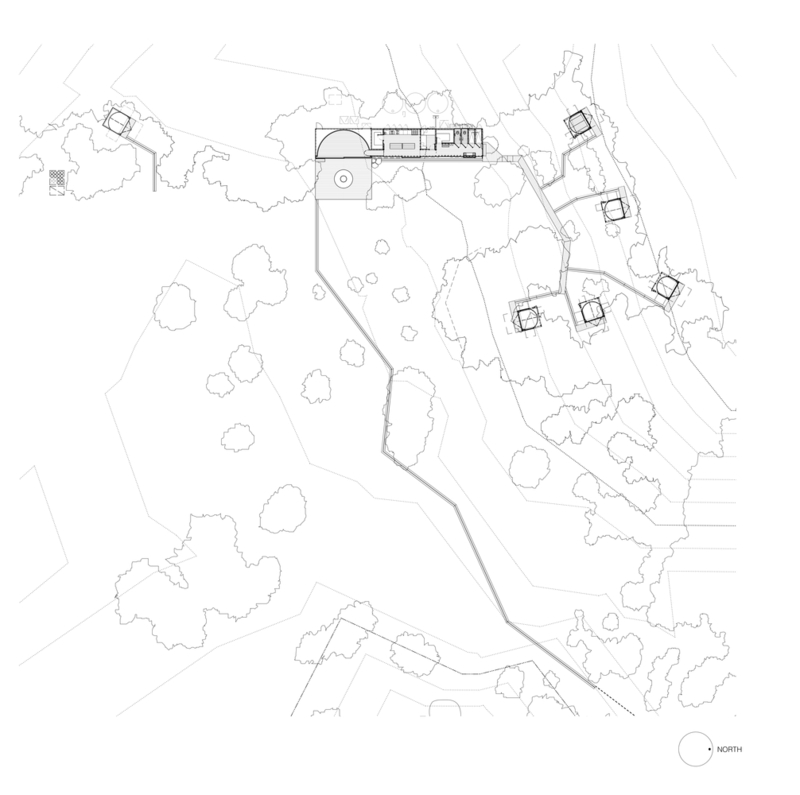 The discreet building is invisible in the landscape until arrival, buried beneath a grove of Banksia Marginata. 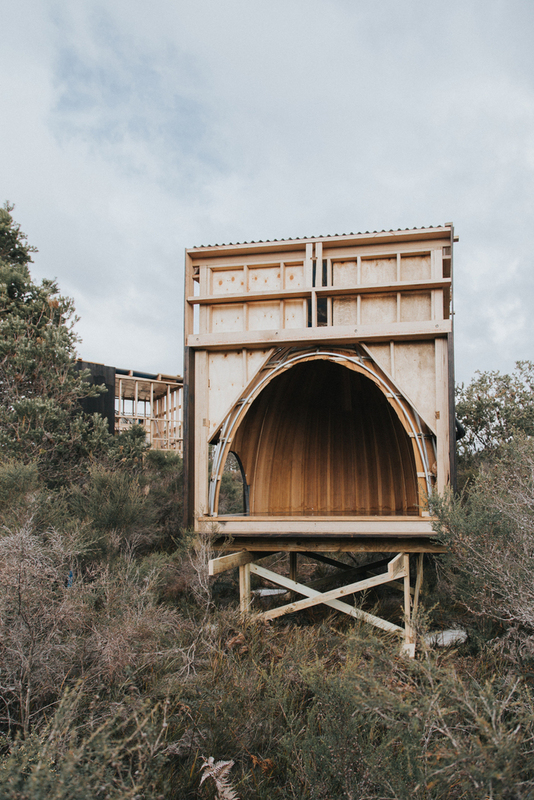 Krakani Lumi not only uses local Tasmanian timber extensively in the material palette, but experiments with timber craft to fulfil the narrative of concealing and revealing the cultural identity of the Aboriginal community in Tasmania. 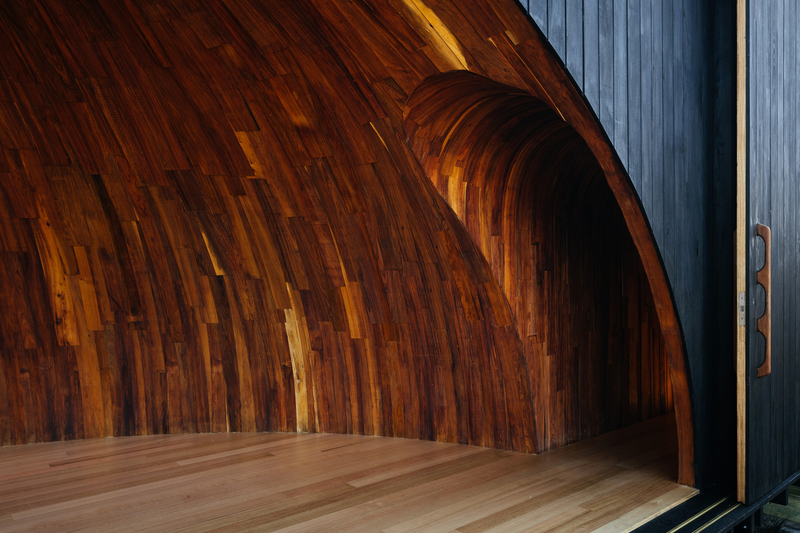 Timber detailing and finishing was a major focus of the structure, resulting in a flowing and cohesive materiality. Taylor and Hinds seek to impose as discreetly as possible upon the pre-existing native vegetation, steeped in 40,000 years of indigenous settlement. A zig-zagging boardwalk meanders through the vegetation, ensuring travellers experience, but don’t impose on the landscape. The site positioning was also a response to the mild North East climate, and respectfully enables itself to minimise changes to the localised climate, particularly from sea breezes. While guests are encouraged to dress appropriately for the cooler nighttime climate, traditional wallaby shawls are provided for additional warmth. 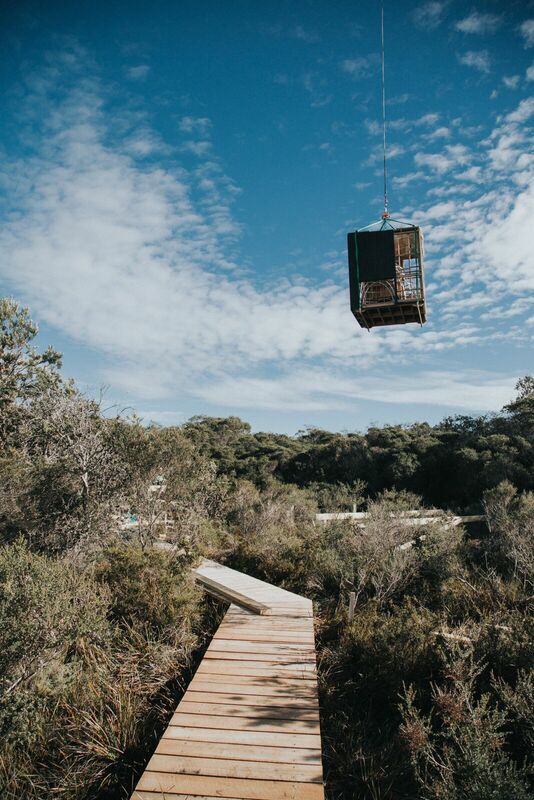 The water supply for the structure is completely naturally harvested and off grid. A solar system with backup diesel generator provides the small amount of electricity necessary for the structure. Architects of the project were Taylor and Hinds, builders on the project were AJR Construct, Aldanmark Engineers provided the engineering solutions, while Tasman Windows and Doors were involved with fabrication. Krakani Lumi, or ‘Place of Rest’, is located in Mt William National Park, Tasmania. It serves as a stopping point and accomodation for guided walks through the cultural landscape, between Wukalina- Mt William, and Larapuna- Eddystone Point. 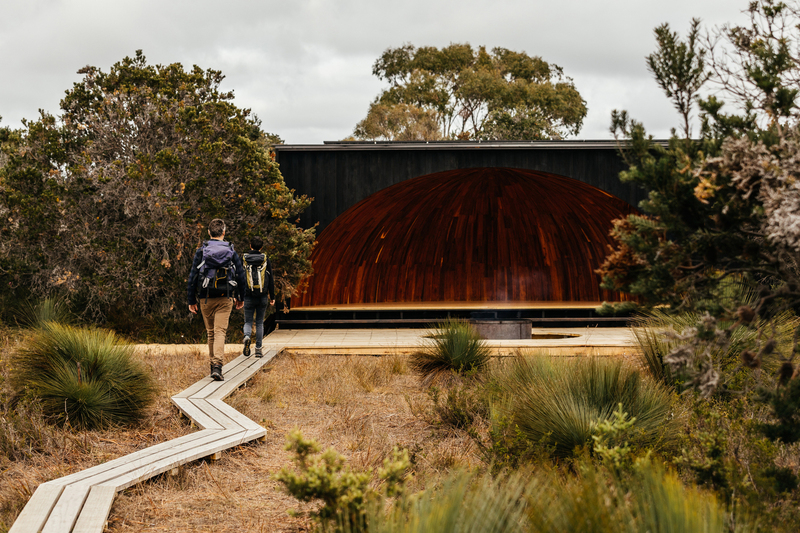 It was commissioned by the Aboriginal Land Council of Tasmania as a cultural centre and refuge in the national park. The building is designed to sleep 10 walkers and 2 guides. Structural timbers in Krakani Lumi are all locally sourced hardwoods. Blackbutt is used for bearers and joists, while Tasmanian oak is used for wall supports and rafters. The materials are limited to robust local timbers and metal finishes, to ensure maximum longevity in the exposed location. The Krakani Lumi structure is completely free of glazing. 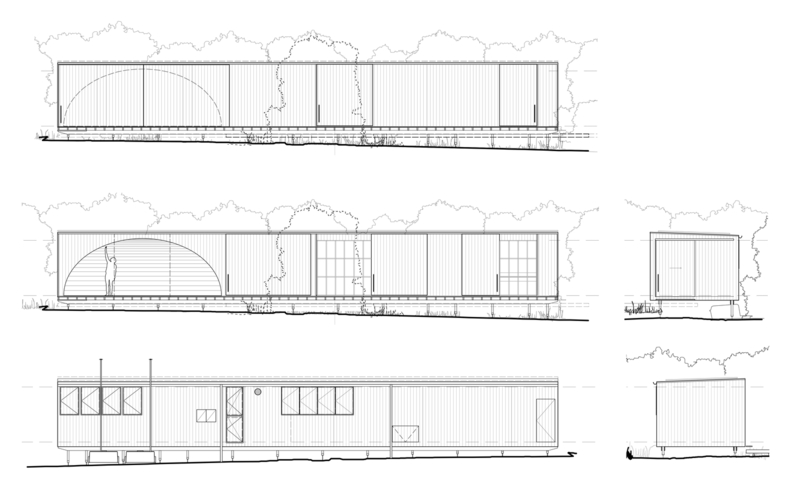 The complex comprises many sheltered refuges that are fully enclosed or semi exposed to the environment. Small hollows are also dotted throughout the exterior for nesting marsupials, who depend on hollow living. The unusual dome appearance of Krakani Lumi is revealed once the charred facade door is opened. 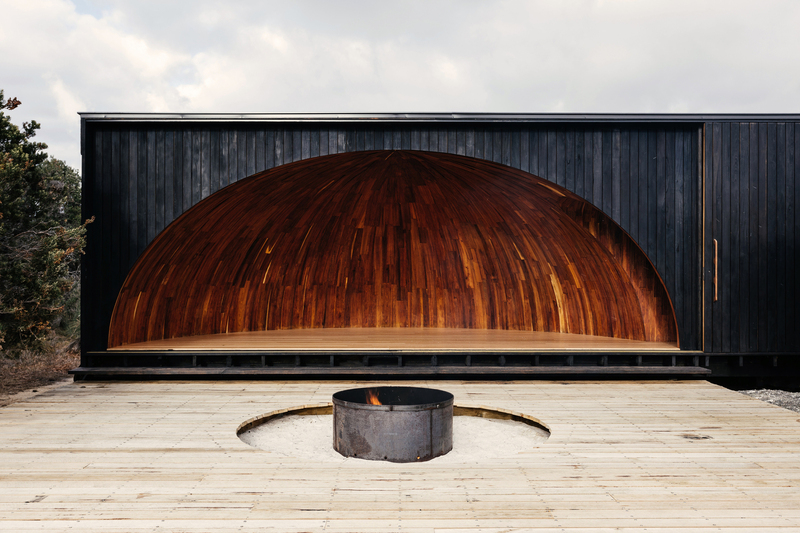 The domed form references indigenous huts of Tasmania’s first peoples. Historical sketches like those of Captain George Tobin, reveal dome like indigenous huts along the coast of Australia. Traditional half-dome huts depicted circular motifs, referencing constellations and representing the form of space above. 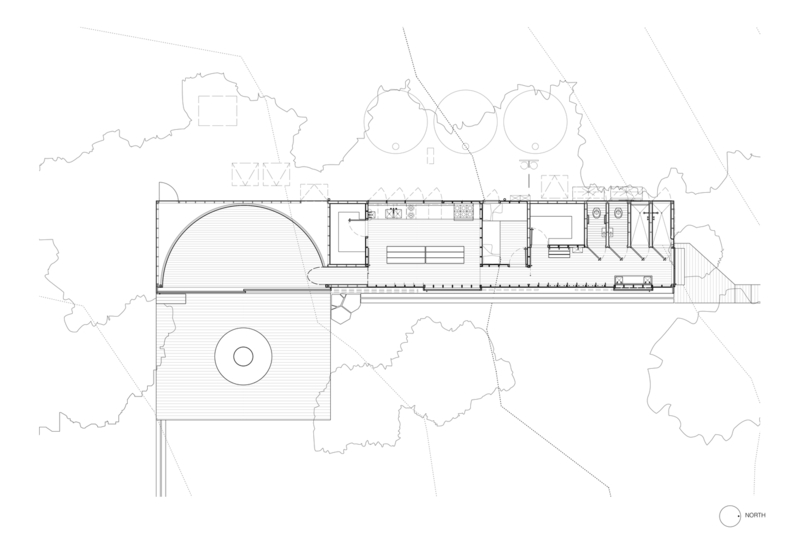 Krakani Lumi updates the typology into a modern refuge. Timber was chosen as almost the singular material for Krakani Lumi, not only for its strength and durabilty, but for its appearance and narrative. The natural material was sought by the client from the start, for its physical and visual warmth. 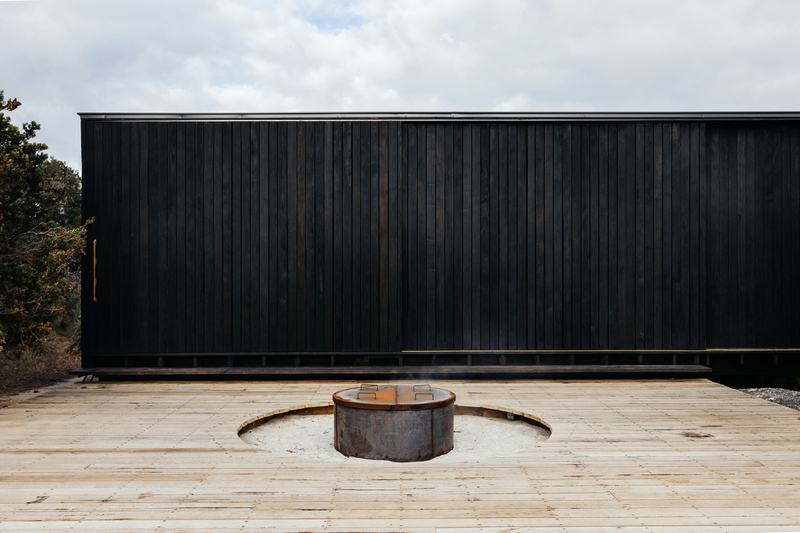 Charred silver top ash was used for exterior timber, providing a robust and low maintenance finish. 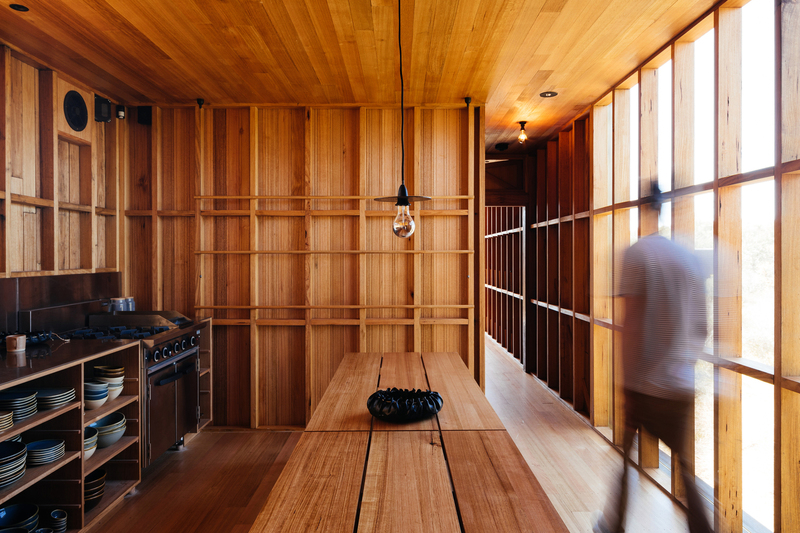 Given the exposed and sensitive location, timber provided a low embodied energy and high thermal efficiency. The decision was made by authorities to remove the requirement to line both the external and internal sides of the hardwood studs. This saved time and cost on the framing, limiting disturbance by construction workers on the site. The lack of glazing was a decision based on the requirement of a specialised crew in such a remote environment. Timber detailing was painstakingly thought out, resulting in simple and easily maintained finishes. 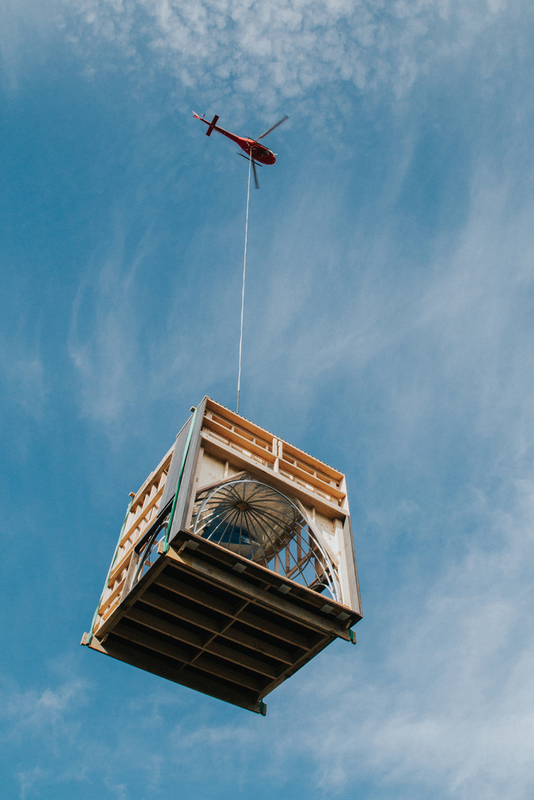 This allowed most of the materials to be delivered, partly prefabricated, but helicopter to the remote site. Interiors of Krakani Lumi have been left unlined to save on cost and time during construction. Limiting time spent on site was an important factor during construction, allowing for minimal disturbance of the surrounding environment. The interior of the main dome has been lined with Tasmanian blackwood. 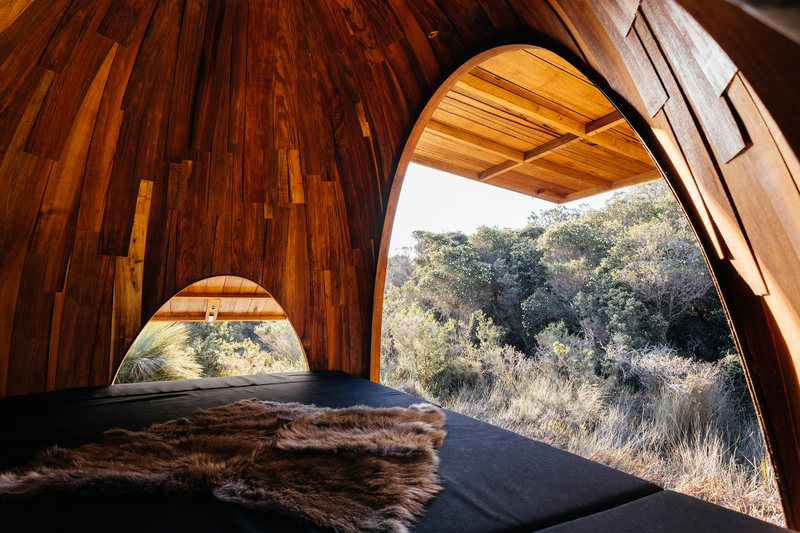 Traditionally, native huts were lined with paperpark and clad in rough bark shingles. David Mitchell Architects have favoured raw materials, producing a sustainable renovation project with a clean, timeless design. The Korkeasaari Zoo Lookout Tower provides a 360-degree view of Helsinki and its surroundings.